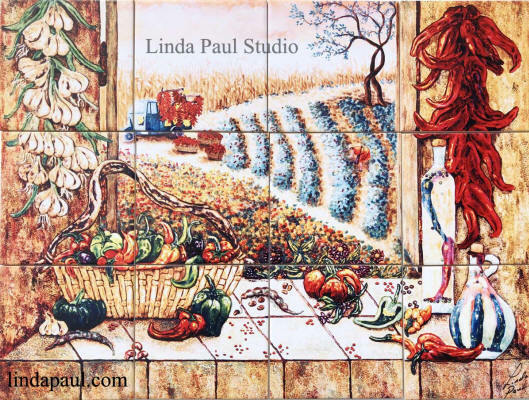 Beautiful tile mural backsplash of a Mexican kitchen and chili peppers, garlic and window overlooking a chile pepper farm (with mama picking peppers in the field) This tile mural by artist Linda Paul is perfect for Southwest and Mexican kitchen decor. 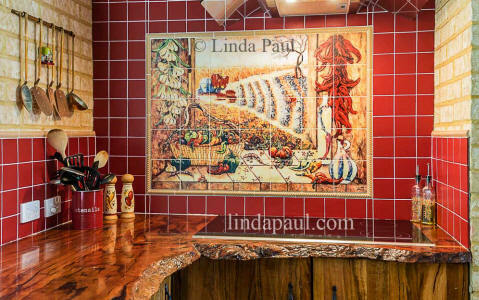 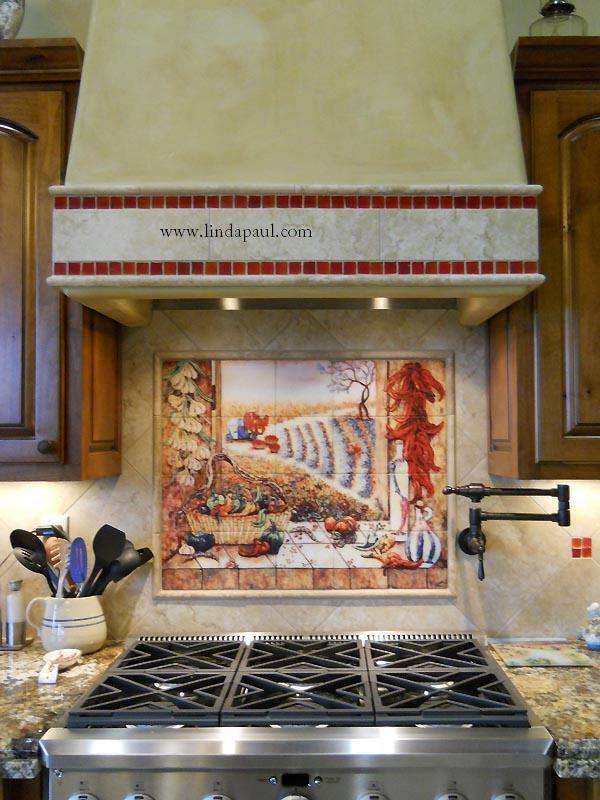 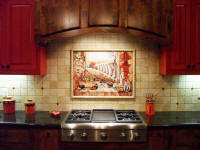 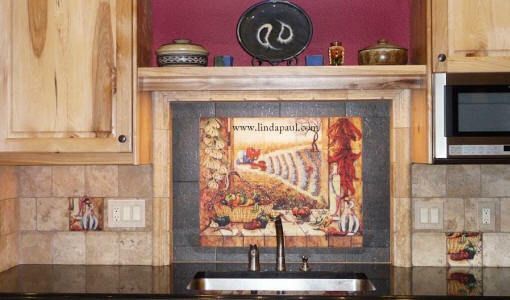 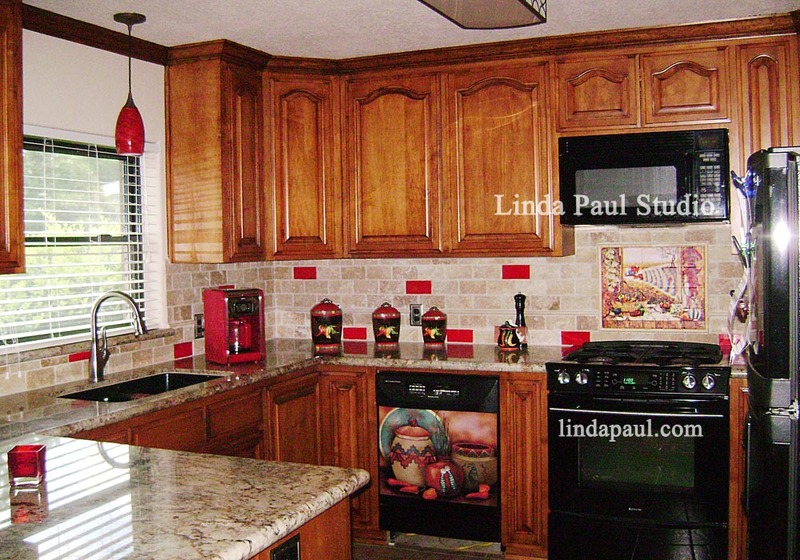 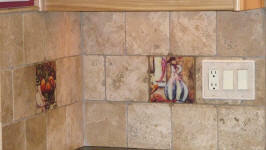 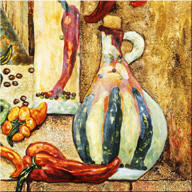 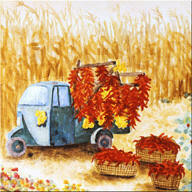 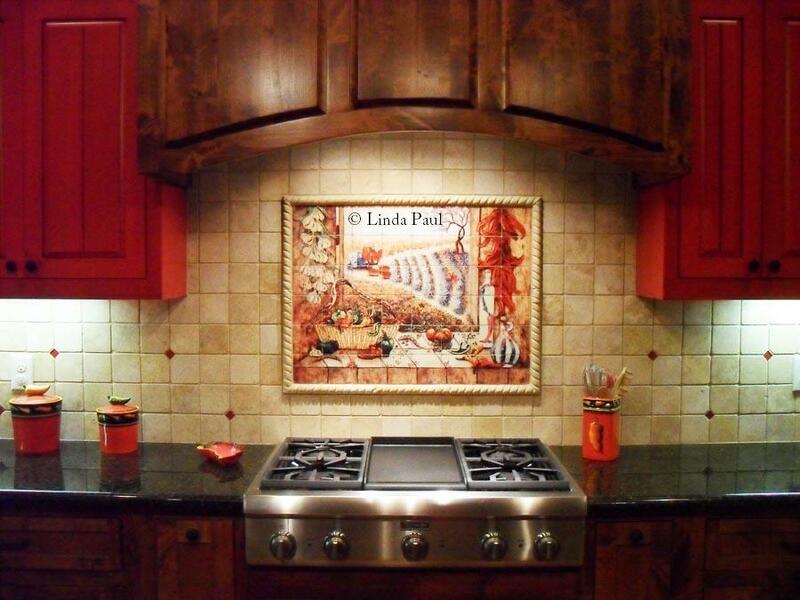 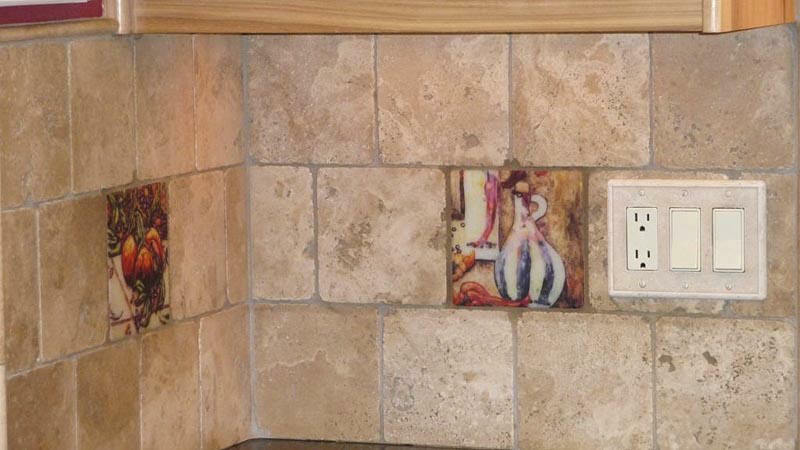 One of our Australian customers sent in this picture of her Chili Pepper Kitchen tile mural. 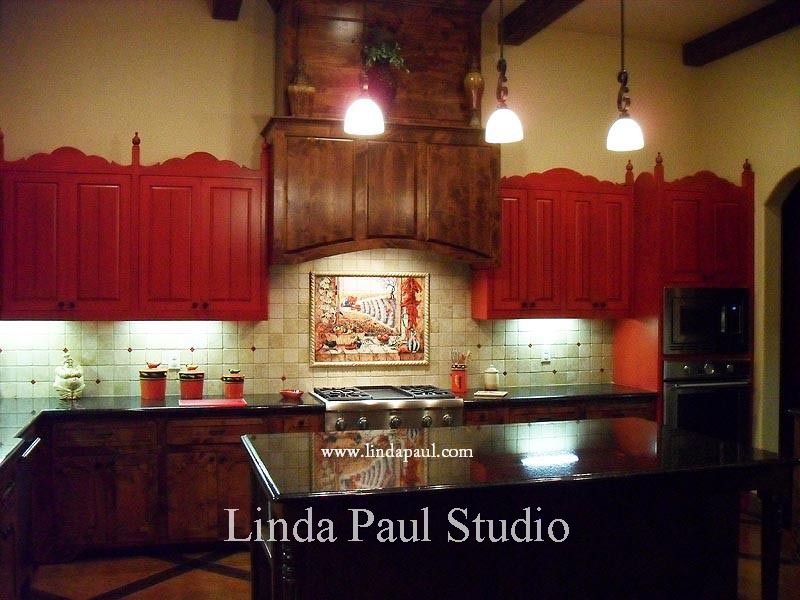 I love the red tiles combined with the exposed brick and the natural wood countertop is amazing. 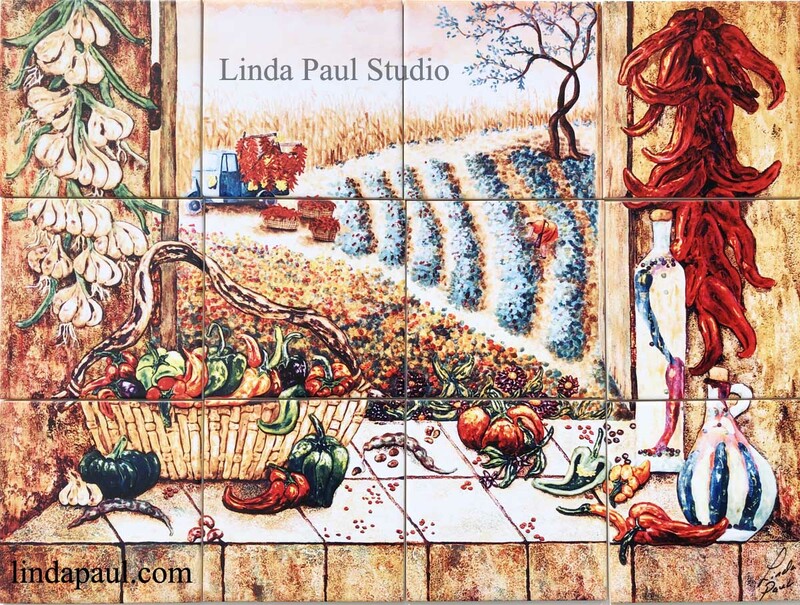 "I have received so many complements on your mural. Here is a picture of my kitchen and your beautiful mural. "